• PLOT SUMMARY: AVENGER. ACTIVIST. HERO. The Falcon has always bridged two worlds that need to be saved. 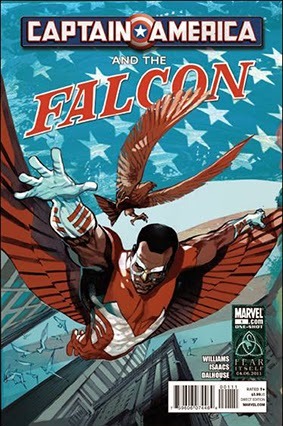 When an old friend's son falls in with gang violence, Sam Wilson must confront his past to save a boy's future -- but even a superhero can't save everyone. Rob Williams (GHOST RIDER) and Rebekah Isaacs (DV8, MS. MARVEL) bring you a story of redemption, humanity and heroism in the Mighty Marvel Manner! (CA) GREG TOCCHINI (W) ROB WILLIAMS (A) REBEKAH A. ISAACS.